Hardwood flooring is a great investment for any home. This is especially true when you take advantage of the hardwood flooring prices available at our flooring showroom. We offer highly competitive deals on top-of-the-line hardwood products, including engineered and solid hardwood flooring. Let us know what type of hardwood you want to add to your home and we will take care of the hardwood floor installation. Instantly add to the value of your home with a hardwood flooring installation of unsurpassed quality. We carry a myriad of exquisite hardwood flooring products that are ideal for a wide range of interior design plans. Our products are geared toward those who are looking to add a touch of class to their homes. The diverse selection of wood species and finishes enables property owners to customize their hardwood floors and create their own unique style. Hardwood floors offer a sophisticated and timeless aesthetic appeal. Regardless of the style of your home, whether it’s rustic, traditional, or contemporary, we have the hardwood floors you need to upgrade your home’s overall appearance. Here you will find stunning collections of solid hardwood flooring in such species as birch, hickory, maple, red oak, acacia, and more. Finding the right hardwood floors is easy when you visit our flooring store. We have a team of sales associates that have in-depth knowledge of all the flooring products we carry. If you have a question about a particular type of hardwood flooring, we are sure to have the answer you seek. We provide guidance to ensure you purchase the style of hardwood that best suits your needs in looks, performance, and price. Once you settle on the hardwood floors you want, speak with our staff about the installation. We can set up a time to install your hardwood floors when it is most convenient for you. We utilize proven installers to perform each hardwood flooring installation. All of our customers have been completely satisfied with the results of these installations. This is your chance to own the hardwood floors you always dreamed of having, with the professional installation that ensures they will look great and last for many years to come. When deciding what kind of hardwood floors you want, you have a choice between engineered and solid hardwood flooring. 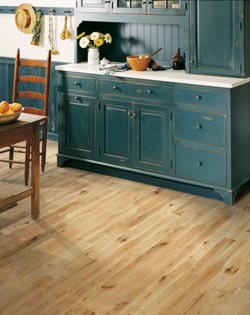 Solid hardwood is the traditional choice that has a subtle authenticity that the discerning eye is sure to appreciate. That is because each plank is made from a single piece of wood. The sound and feel of walking over hardwood flooring is unlike any other flooring material. The other option is engineered hardwood flooring. This is the more versatile option because there is no risk of warping due to changes in the humidity. Made with multiple layers of synthetic material top with a real wooden surface, engineered wood is the more flexible and cost-effective. Just like solid hardwood, you get to choose the wood species, grain pattern, and color for the visible surface of your engineered hardwood floors. Contact us today with any questions about our inventory of hardwood flooring. We are conveniently located to serve customers in and around Flint, Swartz Creek, Davison, Flushing, and Linden, MI.